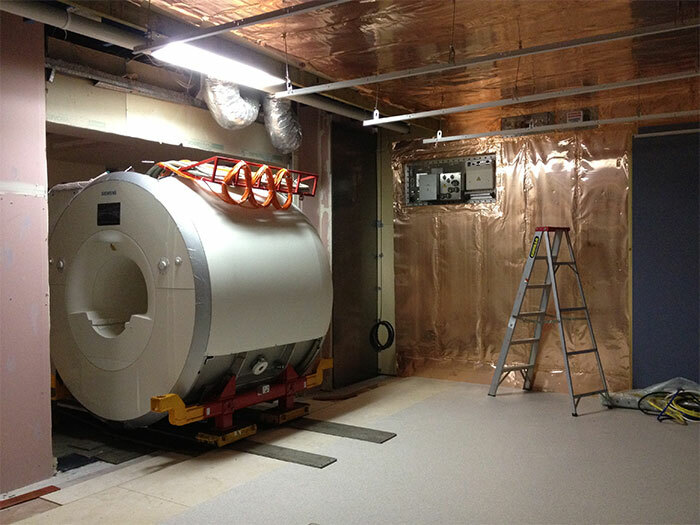 The scope of works at the Tweed Heads MRI Project included transforming an existing hospital courtyard area and 2 internal tutorial rooms, in the centre of the Hospital, into a fully functioning MRI clinic. 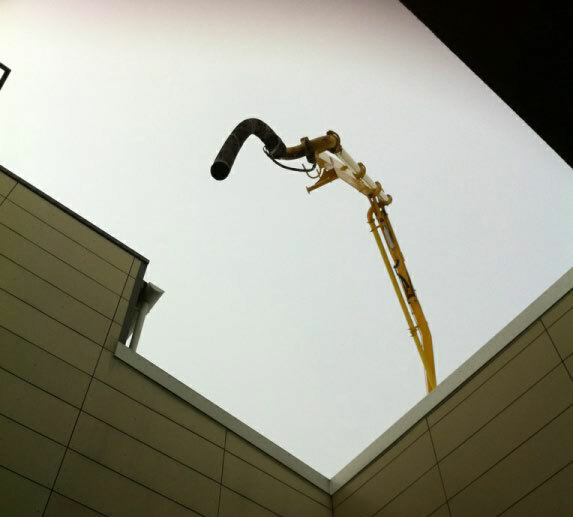 An existing steel staircase from the courtyard up to the hospital roof was relocated elsewhere, the existing courtyard was demolished, and ground works were carried out by hand due to the location in the hospital. 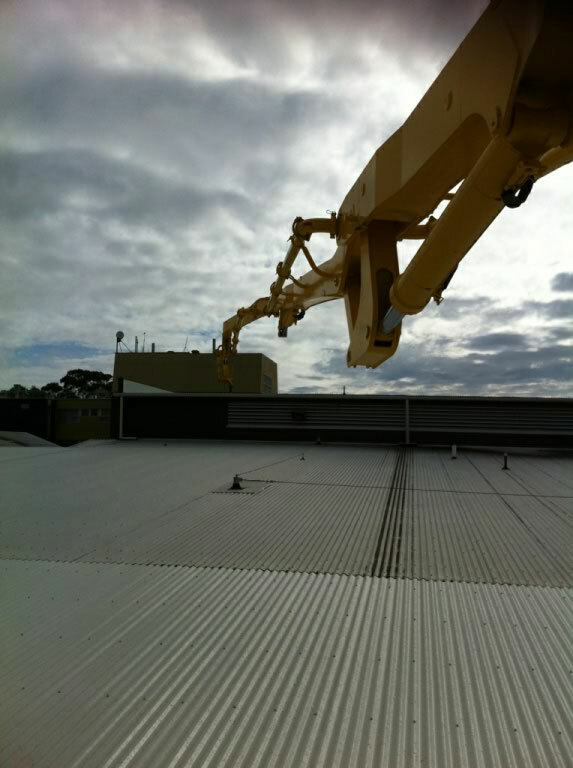 The concrete footings, ground slab and suspended slab which enclosed the clinic, were poured utilising a concrete boom pump, projected off a mobile crane. 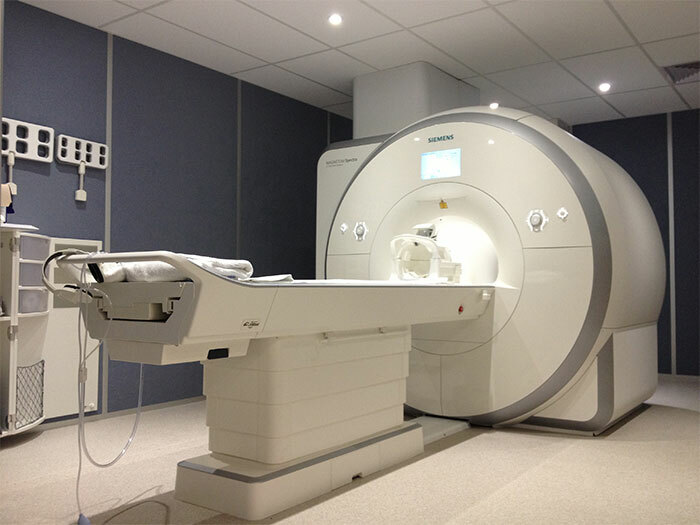 A new wall layout was provided, the MRI was delivered via the hospital corridor and the Internal fit out included the installation of new medical grade furniture, finishes, fixtures and fittings, services were specialised to suit the requirements of the new MRI scanning room, equipment room, control room and all office and patient areas.